) Bugfix: switching to the next upstream server in the stream module did not work when using the “ssl_preread” directive.
) Bug fix: in the ngx_http_v2_module. Thanks to Piotr Sikora.
) Bugfix: nginx did not support dates after the year 2038 on 32-bit platforms with 64-bit time_t.
) Bug fix: in handling of dates prior to the year 1970 and after the year 10000.
) Bugfix: in the stream module timeouts waiting for UDP datagrams from upstream servers were not logged or logged at the “info” level instead of “error”.
) Bug fix: when using HTTP/2 nginx might return the 400 response without logging the reason.
) Bugfix: in processing of corrupted cache files.
) Bug fix: cache control headers were ignored when caching errors intercepted by error_page.
) Bugfix: when using HTTP/2 client request body might be corrupted.
) Bug fix: in handling of client addresses when using unix domain sockets.
) Bugfix: nginx hogged CPU when using the “hash … consistent” directive in the upstream block if large weights were used and all or most of the servers were unavailable. 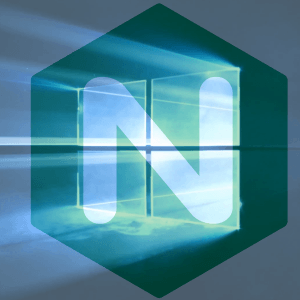 Consequently, you may Download Nginx 1.13.6 for Windows (32-bit & 64-bit versions) here.